In today's March is for Making series, we once again focus on coding with Scratch - but this time we'll be coding using a circuit board called the Makey Makey. 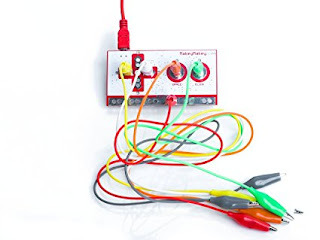 Most people are familiar with the Makey Makey and have played or coded a banana piano. 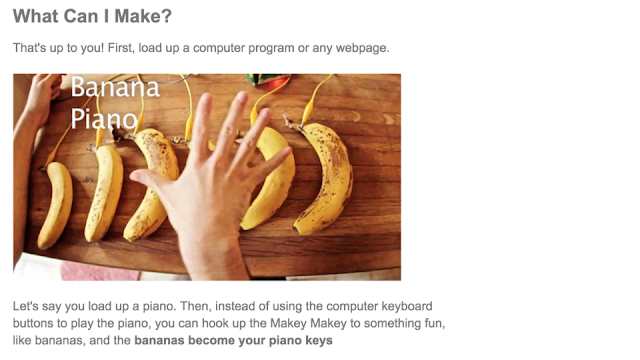 If not, check out Makey's Makey's site for a quick intro to the Makey Makey, including how to code a banana piano. 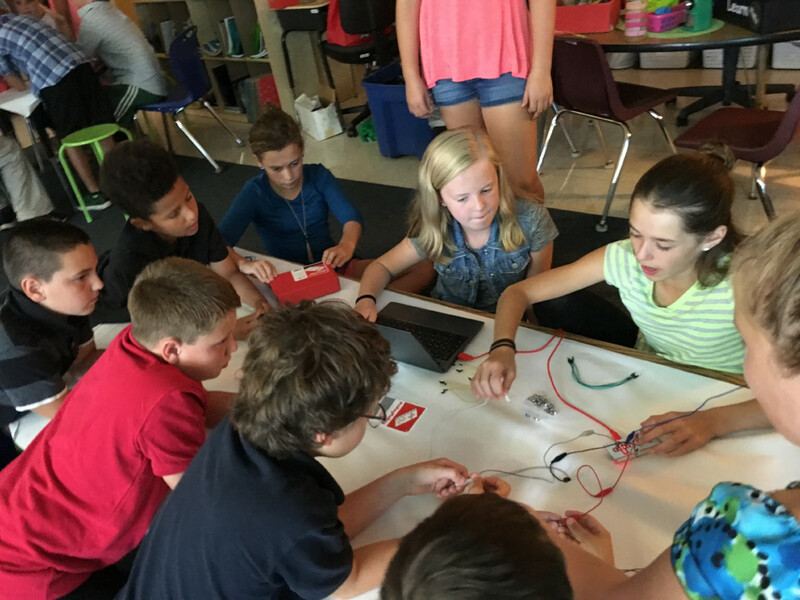 My favorite way to introduce the power of this small circuit board is to set up a prompt that allows participants to use their creative problem solving skills to invent something new. What will we invent ? our School Open House and the Champlain Mini Maker Faire. Just as some people will be drawn to the Creative problem solving potential behind the Makey Makey others have connected with its ability to also help students develop practical problem solving skills. 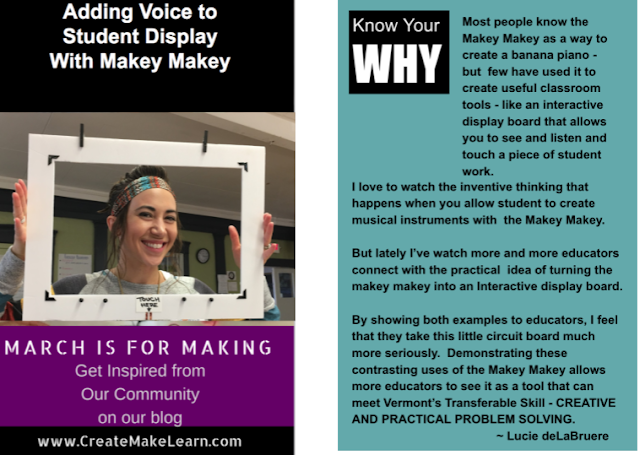 This became even more apparent after I shared a prototype of an interactive display board that uses the Makey Makey to display student work to be enjoyed with your eyes, your ears, and your hands called 'If Your Art Could Talk... What Would it Say?" My goal was to introduce the Makey Makey as a tool that teachers could use to display student art along with auditory comments related to the student work. I was picturing art projects with an artist reflection. But something slighly different evolved as I was creating this prototype. First the project became very personal to me. 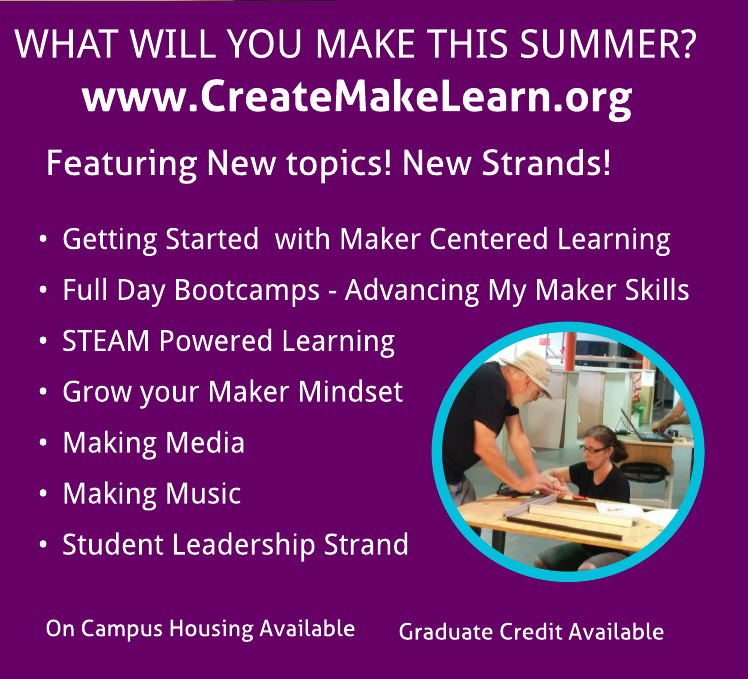 I got to feel that maker empowerment that our students feel as they create, make, and learn. I ended up making a prototype that featured art work from two local artists that had been inspired by the Vermont Women's March. Instead of featuring the voices of the artists in this prototype, I decided that I would find inspiring pieces of audio related to the Women's March. I spent hours combing the Internet for pieces that might be enjoyable to listen to as someone looks over the art work. The pieces were included on the board as a way for the audience to be inspired listening to audio of their choice as they enjoyed the art inspired by the Women's March. They select their preferred audio piece by touching the little copper tabs next to each audio selection. After many prototypes, I ended up simplifying the project and attached the Makey Makey to my interactive display board in a way that would allow the board to be reused with new projects with the least amount of fuss. Sometimes simpler is better! To experience the Interactive Board virtually check out the following SCRATCH PROJECT where I describe the process of creating this interactive board. The SCRATCH PROJECT also simulates the experience of interacting with the board itself. 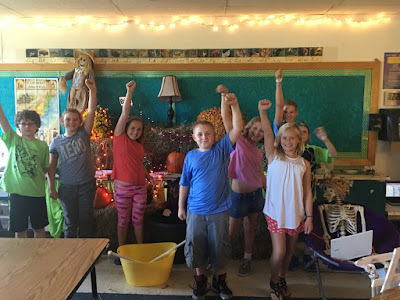 Each time I have shared this interactive board to educators, they quickly think of different ways that they could put this application to use in their own environments. 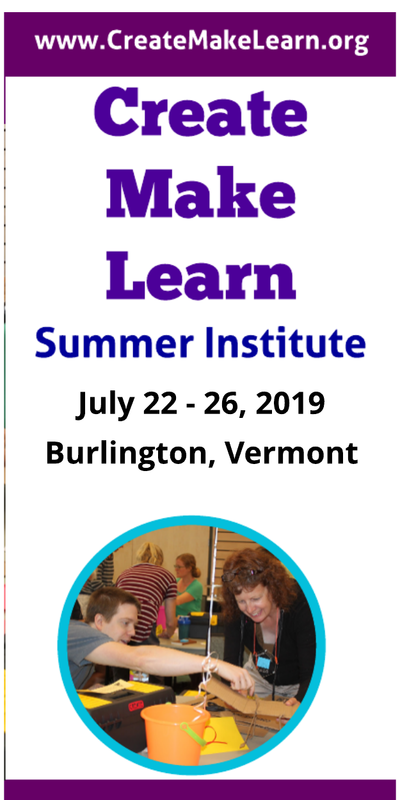 My conclusion: as fun as the Makey Makey is for fun inventive thinking challenges, it also helps to introduce the Makey Makey as a tool for practical problem solving.